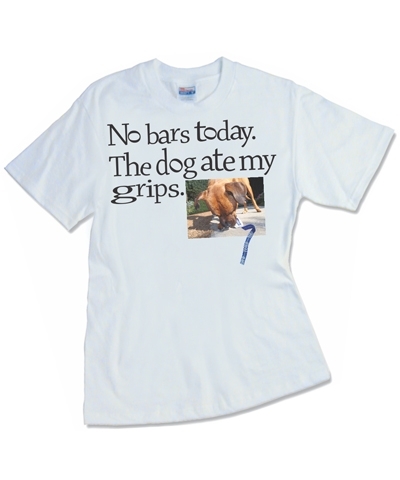 No Bars Today-The Dog Ate My Grips. The dog on this tee is Chewy Chewbaka. Chewy is a beautiful 100 lb. Mastiff mix-one of GMR's 16 rescued dogs. He loves to chew and speaks Chewbakan fluently when he is lonely.